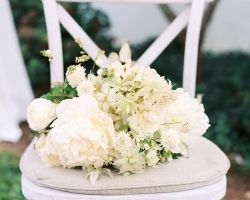 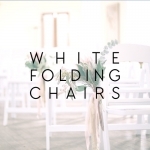 Modeled after the most popular café chair in Europe, our versatile Crossback Vineyard Chair now comes in white! 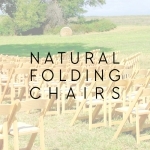 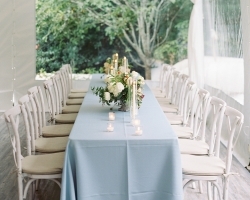 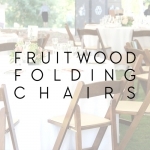 These chairs can be used just like the original crossbacks—at both farm-style and formal weddings, private parties, and corporate events. 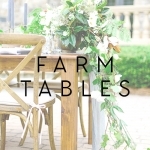 Crafted of solid wood and handsomely distressed with a white-washed finish, these chairs pair wonderfully with our farm tables. 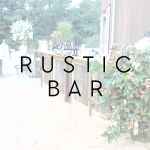 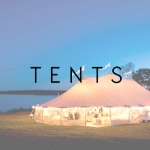 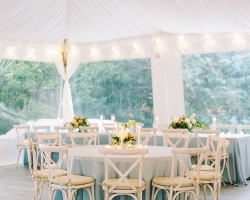 You can complete the look with a beautiful clear top tent or sailcloth tent, cafe string lighting, wine barrel chandeliers, and our white rustic bar fronts!